This week's episode is extra special because we have guest Shannon Davis from Brylett.com on the show! Shannon is a dear friend of the Blog Fuel podcast community, and she's also a digital business lawyer. DISCLOSURE: Shannon is an attorney, but she's not YOUR attorney, or the attorney for Erin or Kirsten or Blog Fuel. She offers advice, but please speak to your own attorney for specific information related to your business. **The UCC has been adopted by most states. Most tangible goods contracts will have to follow this. This week's episode is extra special because we have guest Shannon Davis from Brylett.com on the show! Shannon is a dear friend of the Blog Fuel podcast community, and she's also a digital business lawyer. 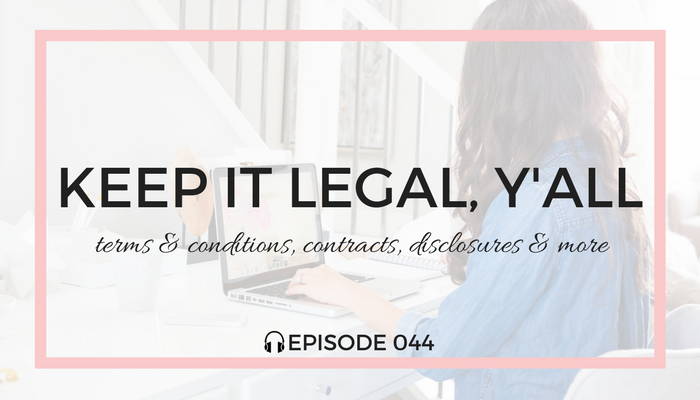 DISCLOSURE: Shannon is an attorney, but she's not YOUR attorney, or the attorney for Erin or Kirsten or Blog Fuel. She offers advice, but please speak to your own attorney for specific information related to your business. FTC Guidelines HERE **The UCC has been adopted by most states. Most tangible goods contracts will have to follow this.